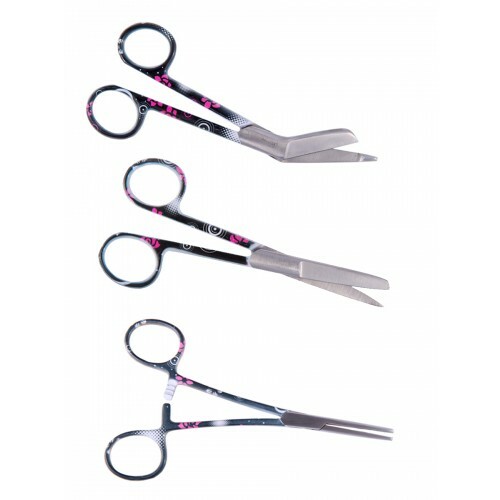 Scissors set with 3 type of scissors. 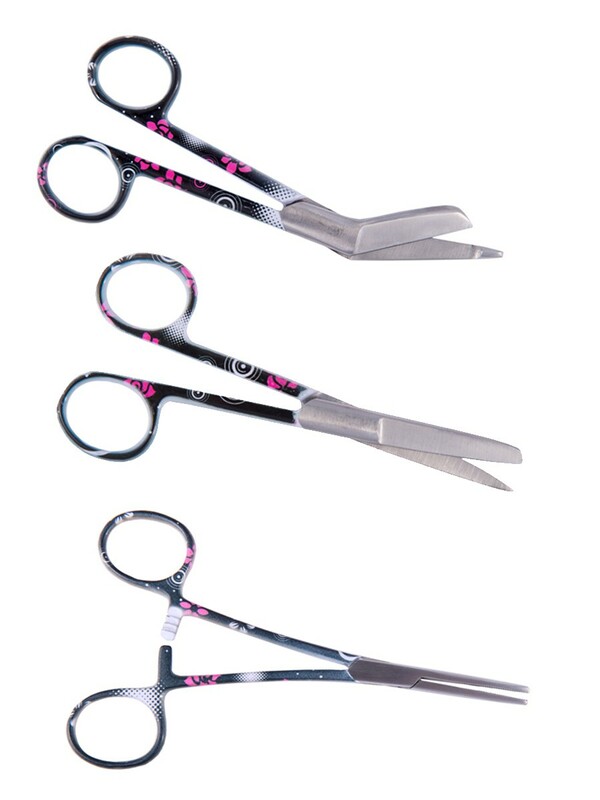 1x Kelly Forceps, size: 14cm / 5,5"
1x Bandage scissors, size: 13cm / 5"
1x Nurse scissors, size: 14 cm / 5,5"
The scissors can be engraved with a name. All 3 scissors will be engraved with the same name.